Listen Ask a bookseller: [words] Bookstore in Maplewood, N.J.
Every week, The Thread checks in with booksellers around the country about their favorite books of the moment. This week, we spoke with Jonah Zimiles of [words] Bookstore in Maplewood, N.J. Some people are better than others at predicting the future. You could be one of them. We're not talking about correctly guessing lottery numbers, but about the kind of practical predictions that people make every day when it comes to business, finance and human behavior. 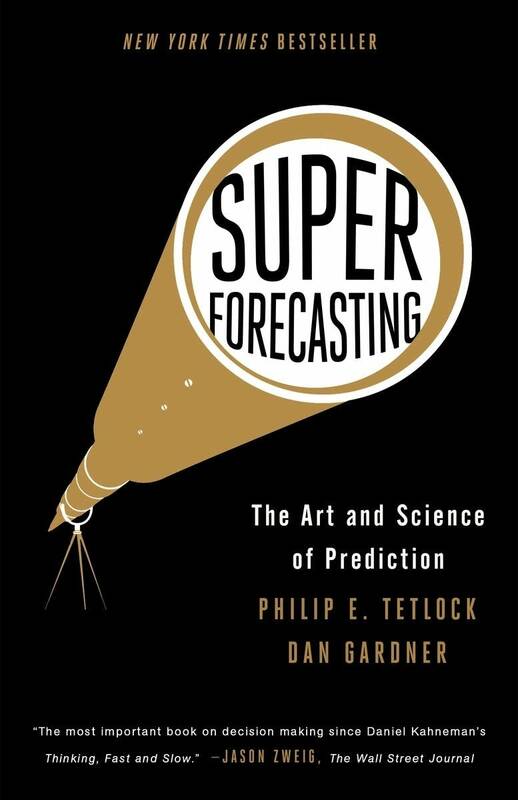 In "Superforecasting," which was named one of the best books of 2015 by The Economist, authors Philip Tetlock and Dan Gardner look at different "superforecasters" — people who demonstrate exceptional predictive abilities. Bookseller Jonah Zimiles recommends the book for its practical lessons. "While knowledge and intelligence help [in forecasting], attitude and methodology are what make the difference," Zimiles said. "So, it seems like a skill that can be learned, rather than just something people are born with. "What I would urge is people who may not always be drawn to business books to consider reading it. It's got this handy pull-out: 11 Commandments of Superforecasting. It gives all kinds of life lessons about humility, having confidence and seeking out diverse and opposing viewpoints. "If people are open-minded, it can really change what they do in life and how they approach everyday situations."